Wild, pristine wilderness areas are a precious — and unfortunately, endangered — part of Oregon's natural heritage. Wilderness may be an intact forest ecosystem. It may be a vast landscape of desert sagebrush and lava rock, or a marshy wetland vital to the life cycle and survival of numerous plants and animal. Wilderness is simply an area where nature is left to find its own path, without interference from logging, roads and dams. Oregon's pristine forest wilderness areas provide the purest habitat for salmon and are home to many rare and endangered animal and plant species. 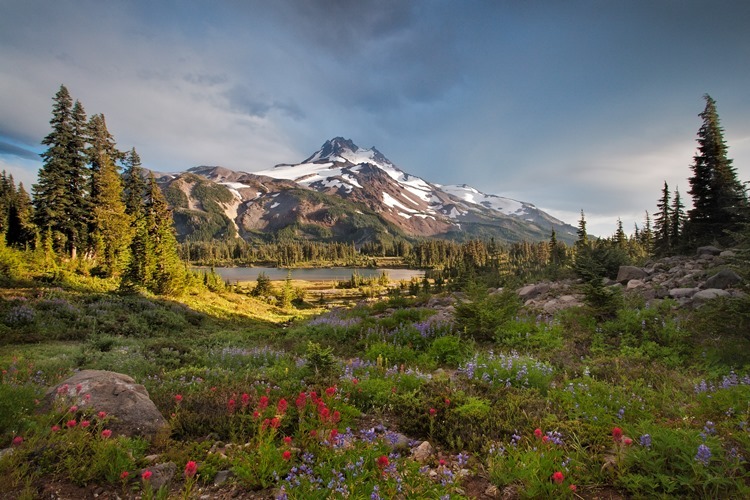 The sun radiates from Mount Jefferson's wildflower-filled valleys. 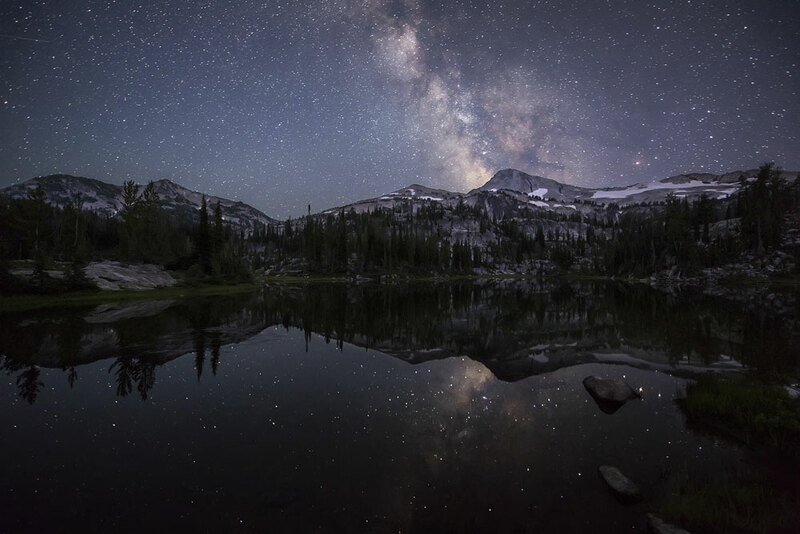 The stars come out in the Eagle Cap Wilderness - Oregon's largest protected area. Enjoying the solitude in eastern Oregon's Strawberry Mountain Wilderness. 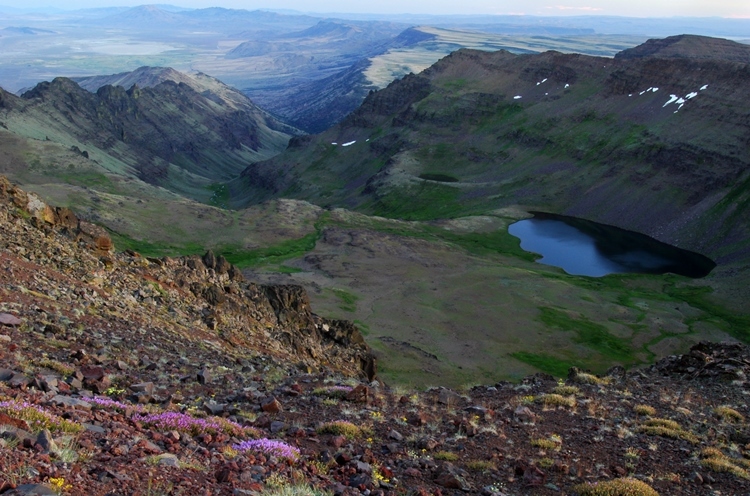 The stunning view from the top of Wildhorse Canyon in the Steens Mountain Wilderness. These areas serve as a critical anchor for biological diversity and are the source of clean drinking water for many Oregonians. When protected, they also offer an enduring legacy of wilderness recreational activities and adventure. On September 3rd, 1964 Congress passed the Wilderness Act to protect the unspoiled character of these wild areas in Oregon and across the United States. 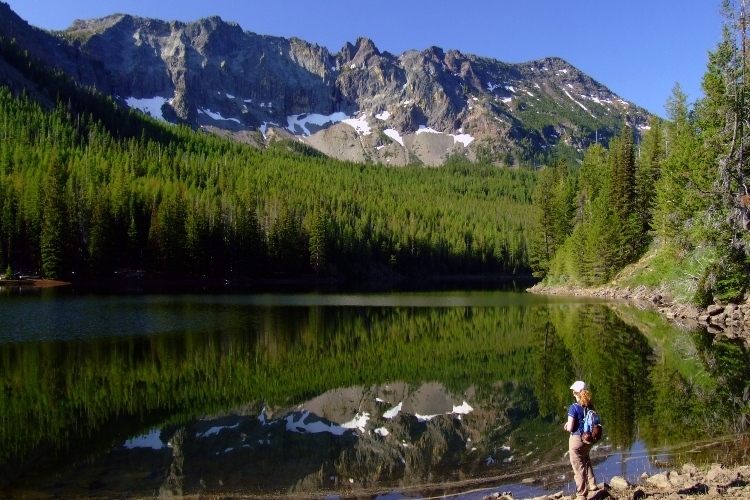 Wilderness designation preserves the public's ability to enjoy activities such as hiking, camping, whitewater boating, horseback riding, hunting and fishing in these natural areas, while protecting land and the plants and animals that live there from destructive logging, mining, road building and other forms of development. Most recently in 2009, some 202,000 acres of Wilderness were designated in Oregon, including 127,000 acres around Mount Hood and the Columbia River Gorge. Hard as it may be to believe, only four percent of Oregon is currently protected as Wilderness. Approximately five million additional acres of roadless natural areas remain suitable for wilderness designation, but are currently unprotected from logging, road-building, mining, and other human development. Oregon Wild believes Congress should designate these remaining areas as Wilderness. As leaders of the statewide Wilderness coalition, we seek permanent protection for Oregon's forested roadless areas 1,000 acres and larger. We also work to provide ecosystem restoration of public lands adjacent to core wilderness areas in order to heal damaged watersheds. Photos by: Mount Jefferson (Jeremy Cram); Eagle Cap (Brad Goldpaint); Strawberry Mountain (Eli Boschetto); Steens Mountain (Greg Lief).